I’m now 3500 miles into life with the KTM Super Adventure S and all is well. 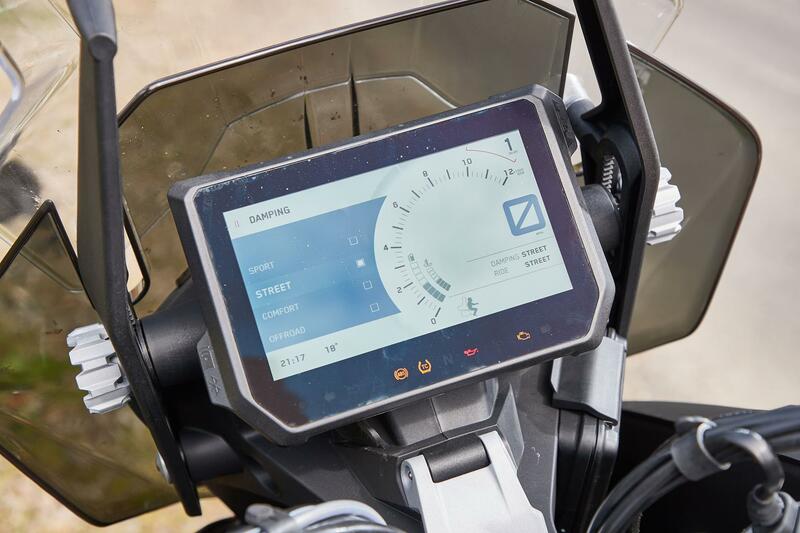 It took a little time to get to grips with the plethora of electronic features on the bike, but I feel I’ve finally got my head round the different engine maps, traction control, electronic suspension, quick shifter and auto-blipper. I’ve never really been a massive fan of rider aids, one reason for this is the fact that to exploit them you have to usually navigate your way through levels and levels of complicated menu systems. Thankfully the KTM is different. Thanks to its game changing 6.5” dashboard, navigating the menu is a simple, quick and stress free affair. On the road I generally find myself in the street mode for suspension and engine map settings, but there’s always the option to go comfort setting for particularly long and boring journeys or sport mode if it gets twisty and you want to have some fun!